The bubonic plague which swept Europe between 1346 to 1353 resulted to the deaths of an estimated 75 to 200 million people. That's millions of men, women, children, pregnant women, and unborn children. That said, it's totally valid for someone to question if God just allowed such a thing to happen and why. Among those with inquiring minds is WikiBear. This is a toy teddy bear which can be connected online to Wikipedia and answer questions from kids. 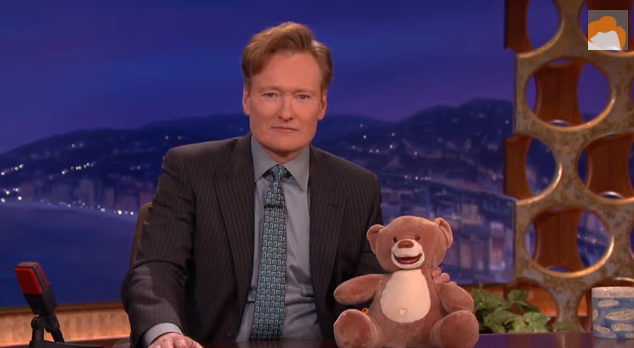 Television host Conan O'Brien gave the toy a spin on his show and Conan being Conan, the segment is comedy gold. Simple and kid-friendly questions evolve into the graphic and macabre. A question about Disneyland quickly turned into a spiel about the Black Death. The best part came when WikiBear asked "But here's one question Wikipedia can't answer. What kind of god would allow that to happen?" Indeed, what kind of god would allow such a thing.